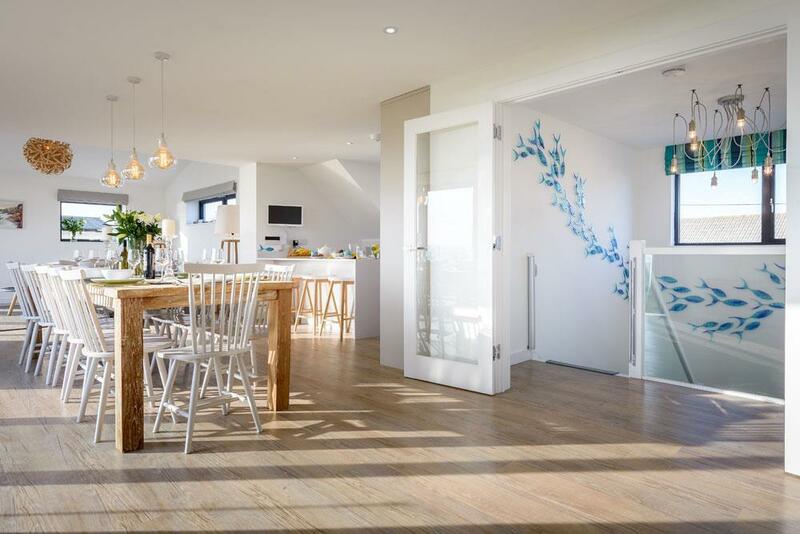 Vicki Lund and Jason Richardson had a radical rethink when it came to creating their ideal family home by the coast. 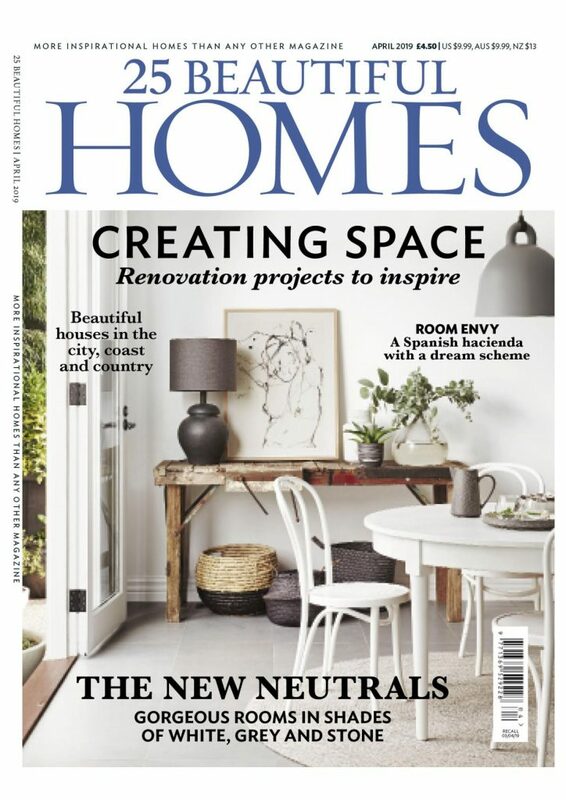 – Written by Pat Garratt for Rooms With A View Feature, 25 Beautiful Homes. 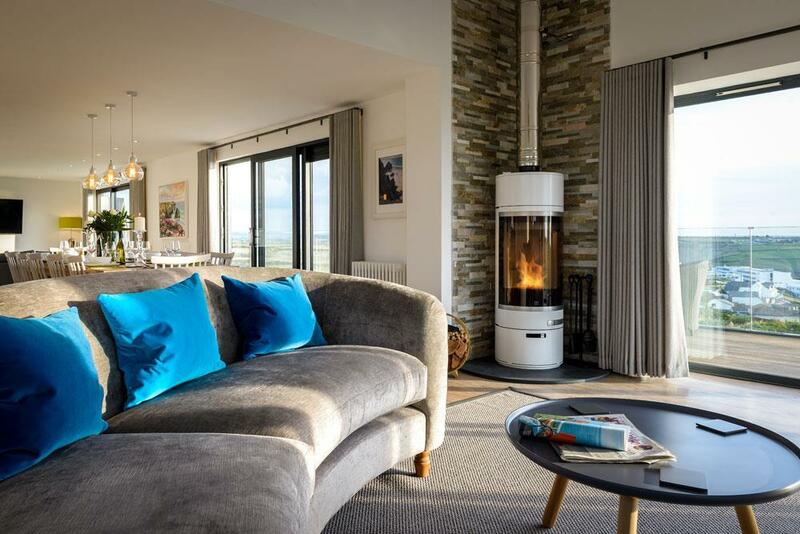 Vicki and Jason had turned the original three-bed property they purchased into a spacious six-bed family home. 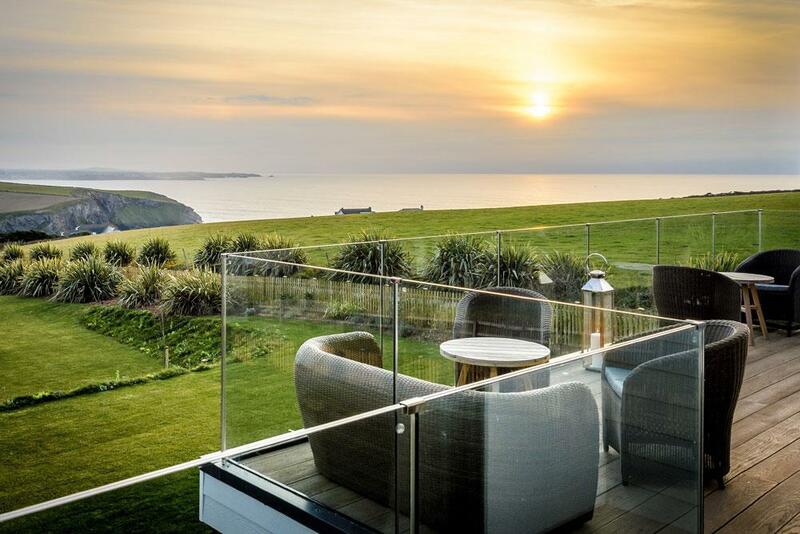 Standing high on the cliffs along the north Cornwall coastline, this two-storey property takes full advantage of the magnificent panoramic sea views. With a blank canvas, Vicki and Jason engaged me to design their interiors. They didn’t want a look that was too nautical or overly fussy. 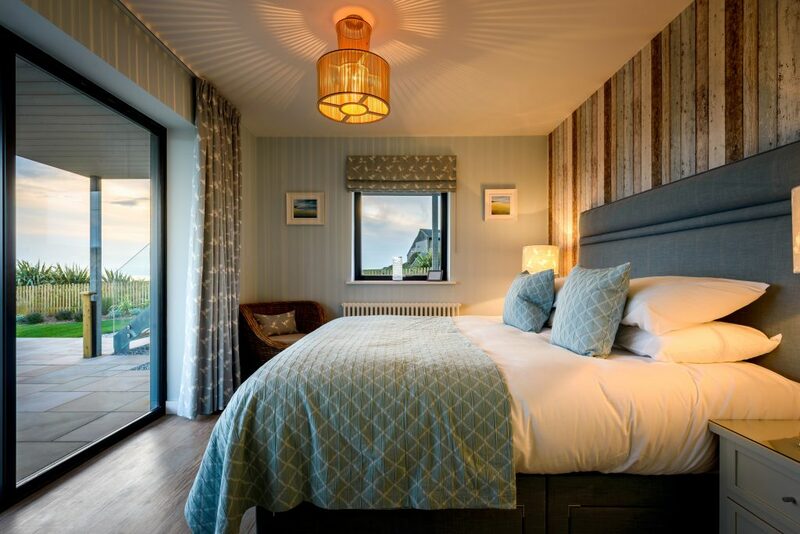 They wanted to create a relaxed and contemporary feel which reflected the colours of the coast. I had free rein with my ideas, which was wonderful. 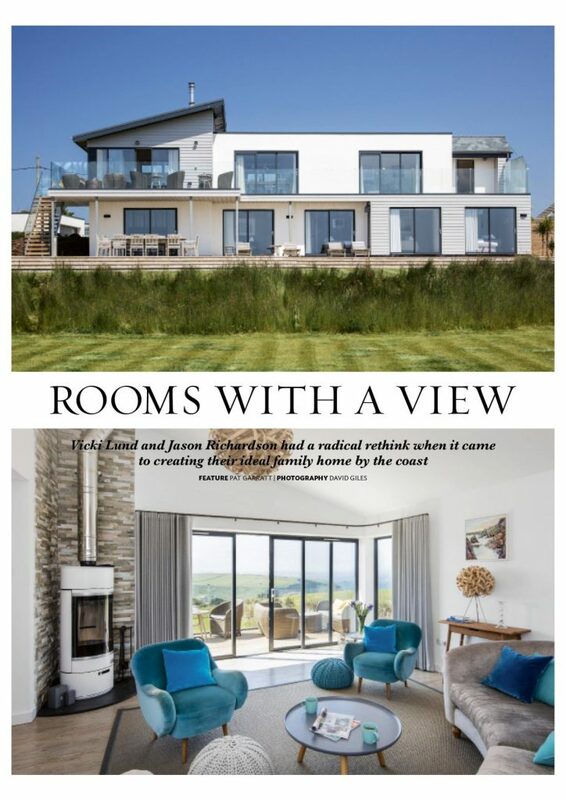 The ceiling to floor windows on the first floor of the property, provided me with my source of inspiration, as they framed the landscape outside. The ever-changing horizon included a mixture of bright blue hues, soft sandy shades and tonal greys. 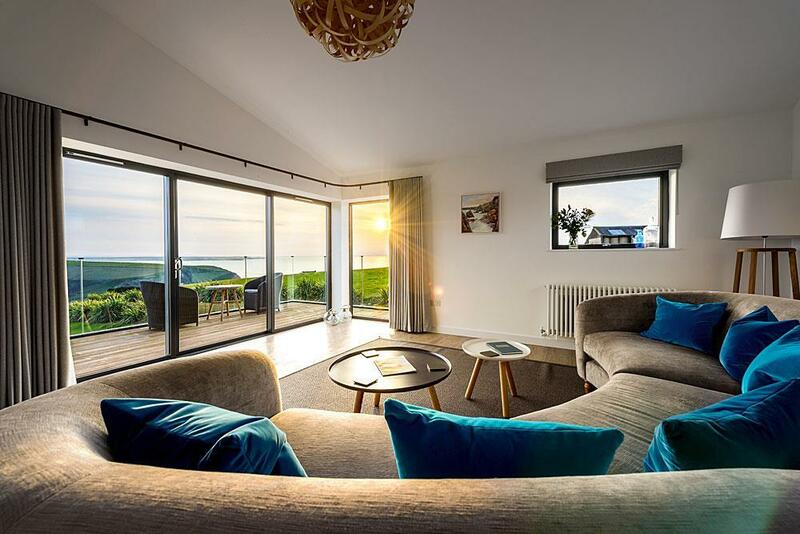 To maximise the views, I recommended a curved sofa for the open plan living space. Here, I was able to create a cosy corner to watch the world outside. 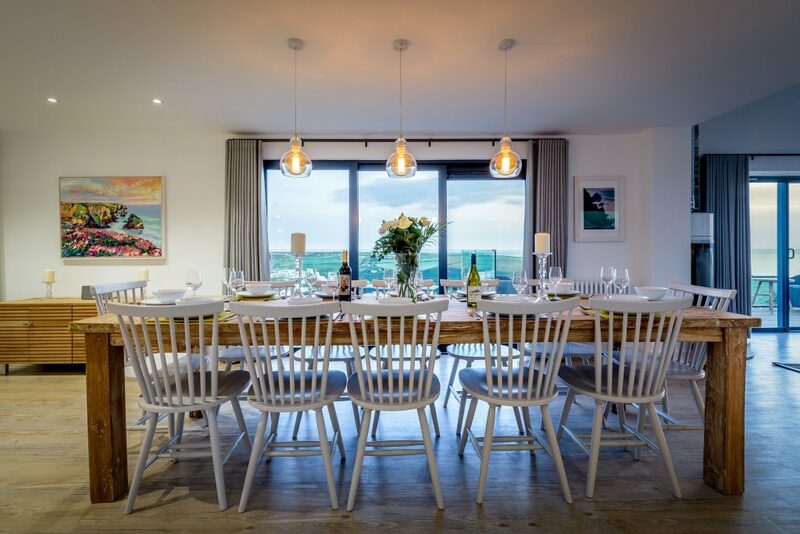 With beautiful pendant lighting designed by Tom Raffield, this corner in the open plan living space brings texture and warmth to a wide space which could feel open and cold. I created a cohesiveness between the living space and dining area by investing in a rustic limed oak finished dining table. 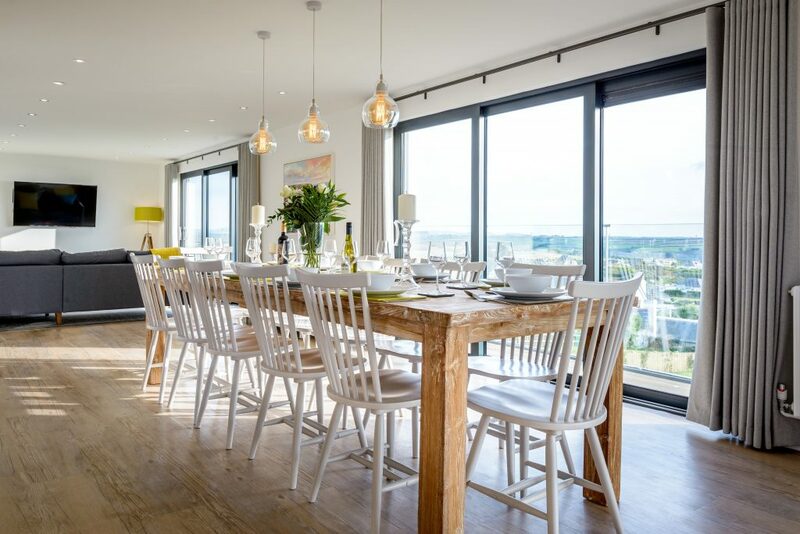 The white washed wood adds a contemporary coastal feel to the scheme. Outside, on the balcony, I opted for all-weather rattan seating, which works beautifully with the interiors while being heavy enough to withstand strong winds. 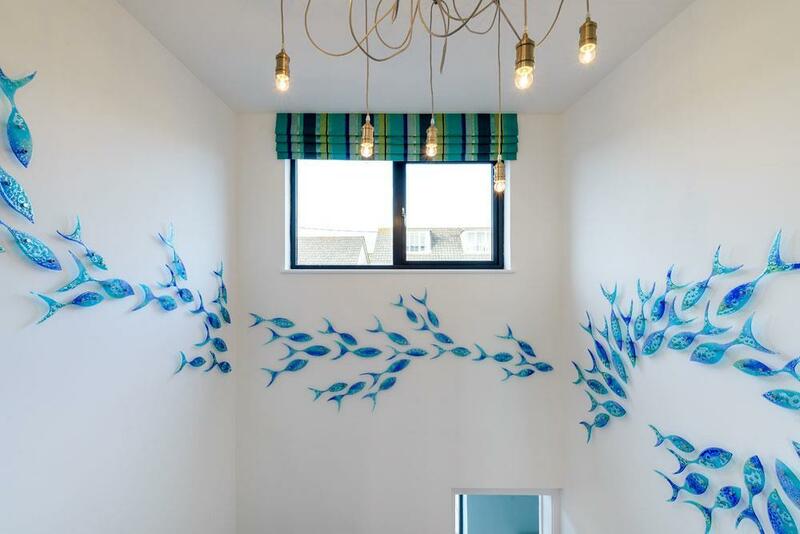 To add colour to the white-walled stairwell, I commissioned local artisan Jo Downs to create a gorgeous glass fish sculpture. 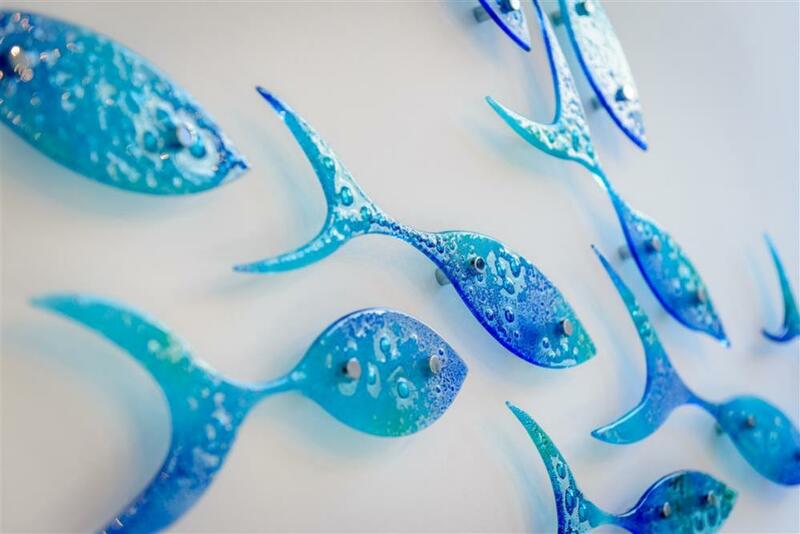 Each fish is individually made by hand, and creates a stunning effect spiraling down the wall. 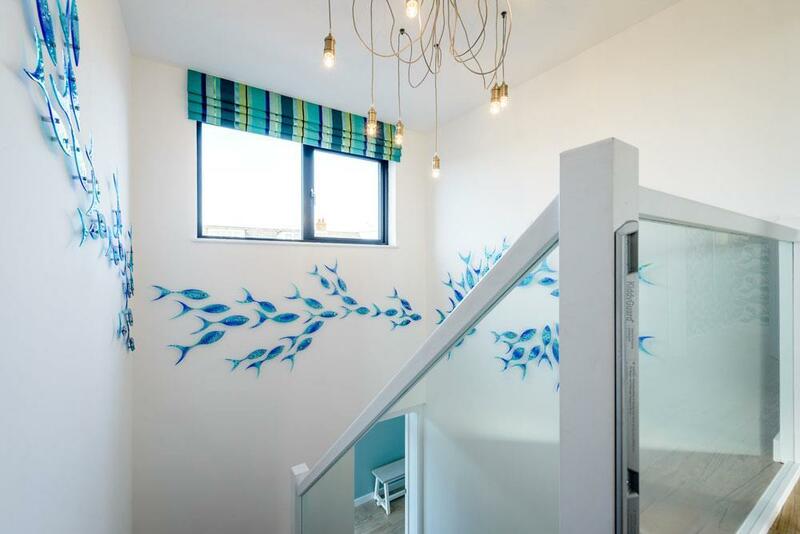 The shoal wall art adds a sense of tranquility to the design, as you feel like you are underwater. 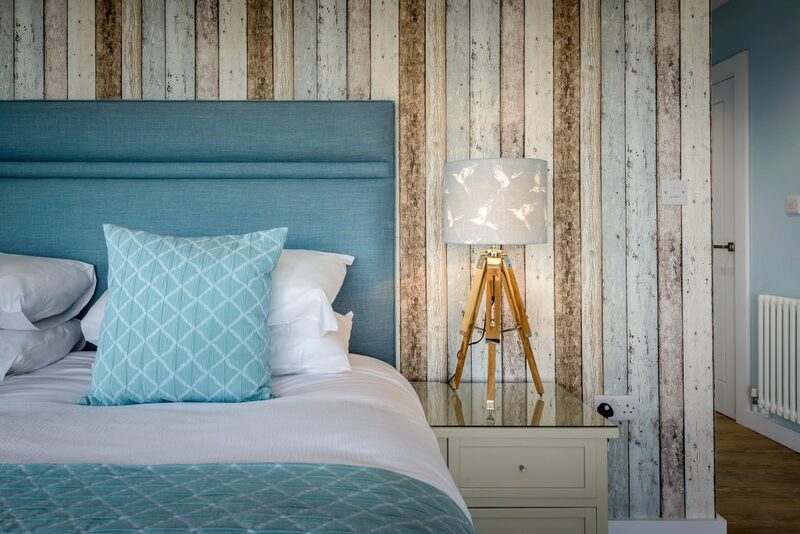 In the bedrooms downstairs, restful blue hues were used to create a warm and welcoming atmosphere. In the entrance and hallway, the white walls provided the perfect backdrop for showcasing local artwork.